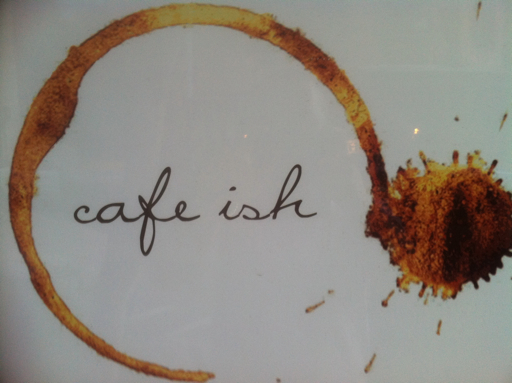 Cafe Ish - My Favourite Cafe Restaurant! I've been to this joint run by the power couple Josh and Ai, about 3 times in the past. With every visit, the service and food was always good. Actually, the service and food was excellent! Everything about Cafe Ish was excellent. I had their beautiful looking/tasting wattle maccacino and flavourful soft shell crab. But it's the 4th visit to Cafe Ish that I want to brag about. One Friday, my wife and a friend of ours finally had dinner at Cafe ish. We were welcomed with a warm and friendly service. The wait staff are also very knowledgable of the items in the menu. From start up until the end of our night there, they made us feel so at home and very special. My wife and I kept talking about our special experience at Cafe Ish throughout the whole weekend. Now, back to the food, we went with the following: hot shoestring fries with wasabi mayo, chilli garlic edamame, and blue gum smoked pork ribs (used to be part of the menu, but now a special of the day dish). 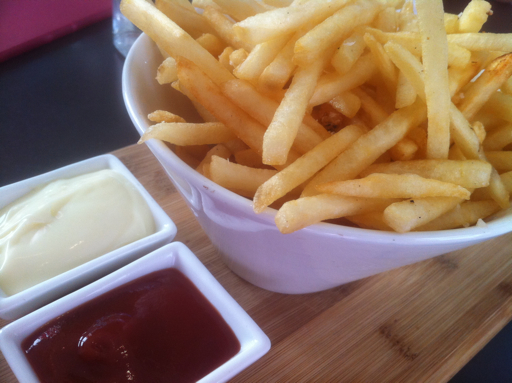 The hot shoestring fries were perfectly cooked and dipping it in the wasabi mayo was so addictive. 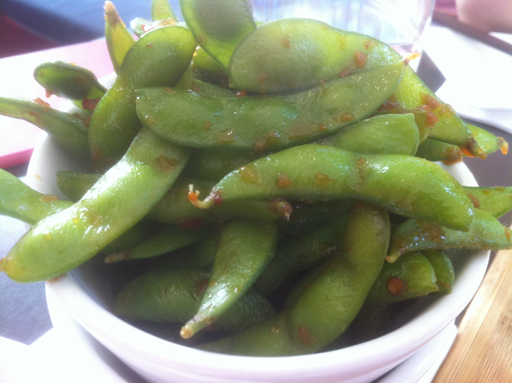 This was the first time I had edamame and it was a special introduction. The sweet chilli dressing on it awakened my senses! Now, down to the main event, the very succulent, tender, unique tasting, and in my opinion the best ribs in town. 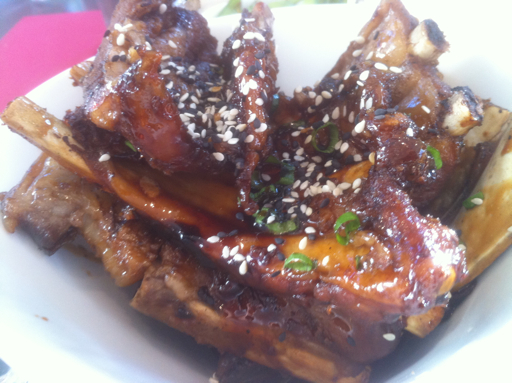 Cafe ish's pork ribs totally knocked me out! It had this Japanese and Australian influenced bbq taste to it that just takes my taste buds on a journey. We could not resist the coffee and desserts they had to offer. My wife and our friend ordered the classic cafe ish signature cup of coffee, the amazingly beautiful wattle macaccino. 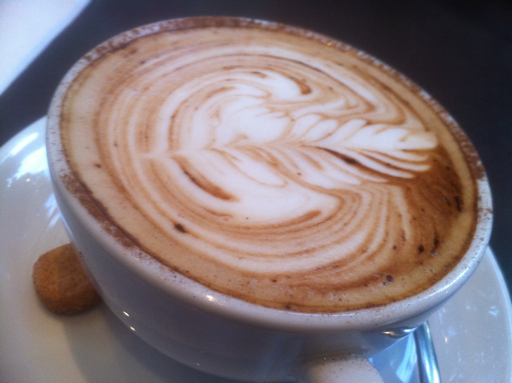 A wattle macadamia flavoured cappuccino which is the best cup coffee in Sydney. To cool down on that warm summer night, I went for the iced version of wattle maccaccino. Topped with wattle macadamia ice cream which is specially made only for Cafe ish. 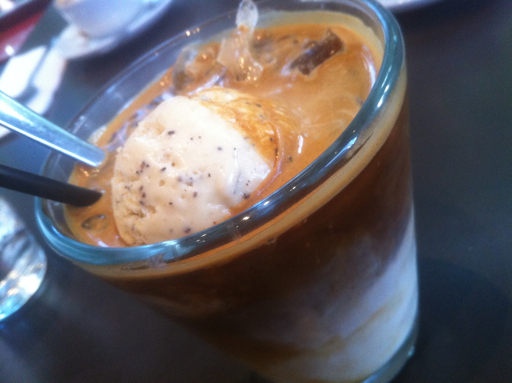 This is the best cold coffee drink I've ever had and the ice cream was specially good. The flavours and boldness of the coffee balanced well. I didn't get to note down the names of all our desserts. 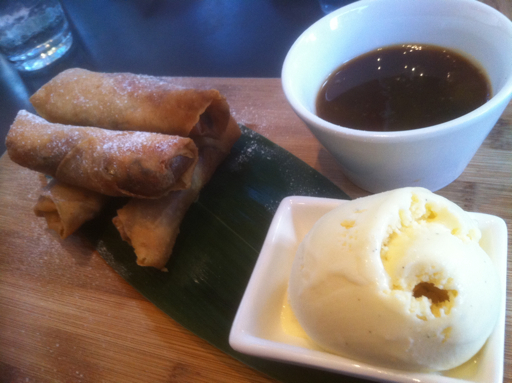 But from memory, the dessert I had was an apple spring roll with butterscotch sauce and complemted with a wattle macadamia ice cream. The taste and serving was definitely a grand finale to end our night at Cafe ish. 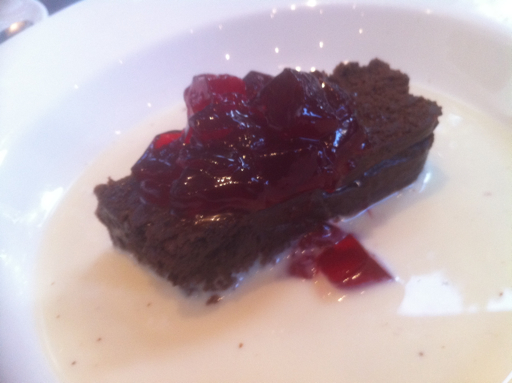 It's a humble and reasonably priced cafe restaurant in Surry Hills that has excellent customer service and food. I will definitely become a regular. I highly recommend Cafe ish because the food they serve, is very yummy for my tummy!